Made from rich, supple leather, this No. 5 size Rugby has an old school look and feel. Individually bench made in a small American workshop, each ball is distinct. 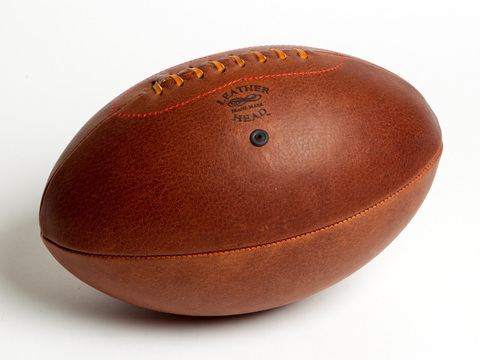 LEATHER HEAD rugby balls have an irresistible tactile quality and a seductive leather aroma. These heirloom quality balls will only improve with use.